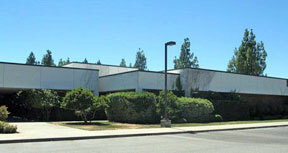 In 2007 Lewis-Pipgras purchased a 100% fee interest in a vacant office building of approximately 20,240 SF in Chico, California. The building, a former call center for Pacific Bell (AT&T), sits on 3.0 acres of land and has a parking ratio of 7 spaces per 1,000 SF of gross building area. The business plan for this property is to market the building either for sale to a user and/or for lease to a single or possibly two tenants. A possibility also exists to build an additional 10,000+ SF on the site as the current building has a very low coverage ratio and is located at one edge of the property.